We answer in the negative a problem posed in Daróczy (Report on 52nd International Symposium on Functional Equations. Aequat. 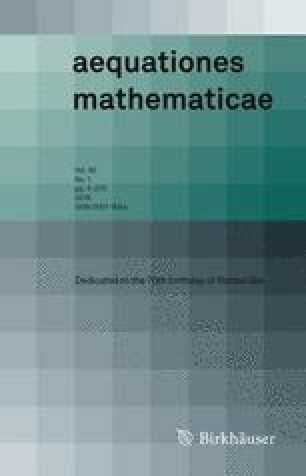 Math., 2015) by the first author, in connection with a result of Ger and Kochanek (Colloq Math 115:87–99, 2009), and its generalization formulated in Daróczy et al. (Report on 52nd International Symposium on Functional Equations. Aequat. Math., 2015). A further generalization is posed as an open problem. Elaborating an idea of the construction of means presented in Examples 1.2 and 1.4 we come to the notion of marginal joints of means. It provides a pretty wide class of means extending two given means on adjacent intervals. This research has been supported by the Hungarian Scientific Research Fund (OTKA) Grant K-111651.